Kayaking in the Maldives is an excellent way to closely observe the enchanting marine biodiversity beneath the surface without getting wet. Grab your partner or friend and embark on a kayaking journey to remember around the mesmerising lagoon, explore the ocean together as you contemplate iconic views over the coastline, at your own pace. What’s more, kayaking is considered eco-friendly and provides a great cardio workout! Interested already? 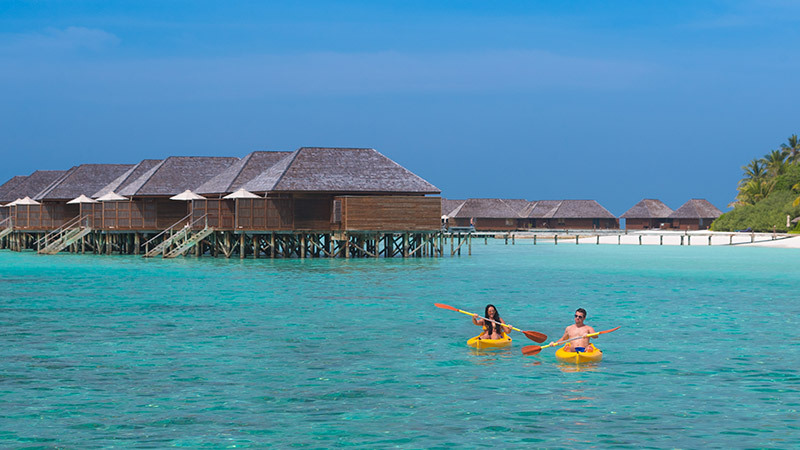 Please drop us an email at veligandu@oceangroup.mv or visit our Ocean Water Sports Centre directly to grab your kayaks and hit the water!